by Timothy D. Fields P.E., Transportation Principal Engineer, Connecticut DOT; Mary E. Baker P.E., Transportation Supervising Engineer, Connecticut DOT; Mohammed Bishtawi P.E., Transportation Supervising Engineer, Connecticut DOT. 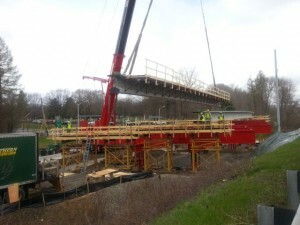 Description: Over a weekend in June 2014, the Connecticut Department of Transportation replaced its two substandard bridges on Interstate-84 over Marion Avenue in Southington. 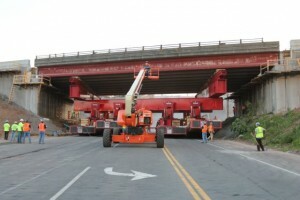 The two new 102-ft-long spans each weighed two million pounds. 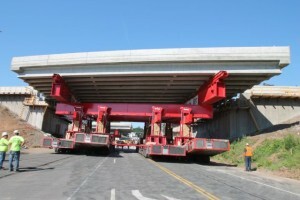 They were built near the site and transported on self-propelled modular transporters into position with such speed that the first bridge was re-opened at 4:30 pm on Sunday, 12 hours ahead of schedule. The second bridge was re-opened a few hours later. This presentation describes the planning, design, and construction details for this successful ABC project.